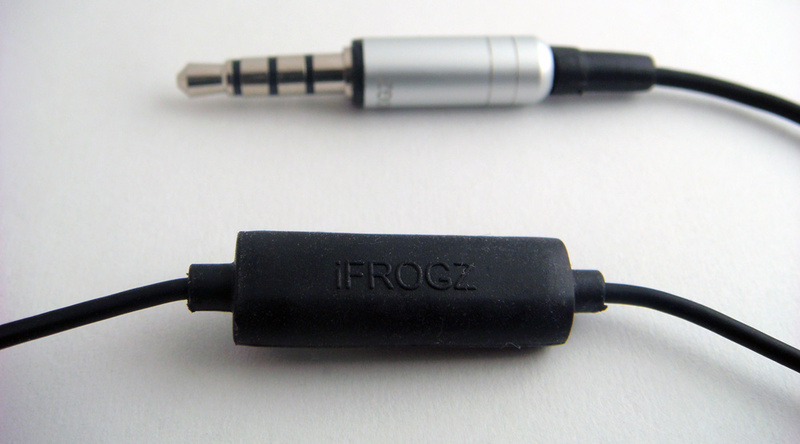 Over the past few weeks, Skatter Tech has published reviews of two iFrogz EarPollution headphones. So far, all these headphones have been unique in their own way, both functionally and artistically. Now it’s time to see what iFrogz brings to the table with earphones. Admittedly, headphones are not for everyone. 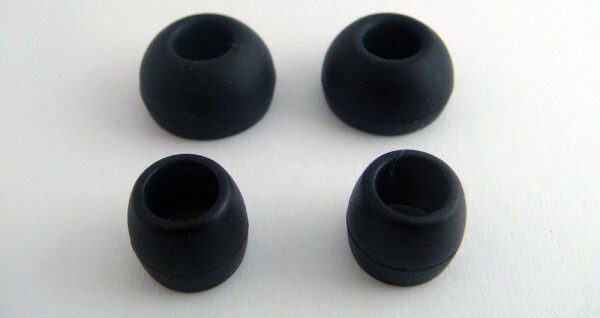 Some find them too bulky and overbearing, and prefer the alternative being earphones. iFrogz offers a variety of products each varying in aesthetics, style, and quality. Today I’ll be focusing on the Timbre earphones. Advertised for its sound quality and a built-in microphone, let’s see if these affordable earphones really live up to their name. The body of the earphones isn’t very different from what you would expect, a 3.5mm headphone jack at one end leading up to the ‘Y’ split divider towards both ear-buds. The microphone is fairly small, hanging a couple inches below the right ear-bud. The size isn’t bulky enough to get in the way, while not so small that it’s invisible. You’ll never find yourself sporadically talking into parts of the cable searching for the microphone. The cable has a rubbery feel to it and isn’t the best material for cables. It creates friction easily with clothing and other materials that easily cause it to get tugged. This will eventually lead to a torn or worn down cable. The ear buds primarily stand out since they have a wooden encasement instead of a plastic one. We’ll get to how that impacts the audio quality below. For the most part, these headphones don’t offer a sense of a quality product. When it comes down to it, there is nothing particularly vibrant and graphic about these earphones. This is unusual for EarPollution since both the CS40 and DJ Style headphones were generally flashy, offered in different styles and color schemes. The Timbre has a minimalistic design. The only color is the wood-chamber body of the ear-buds and a silver lining running up to the speakers of each bud. This isn’t necessarily a bad thing, however, since the product intended as a headset for the iPhone and Blackberry, it should look somewhat professional. 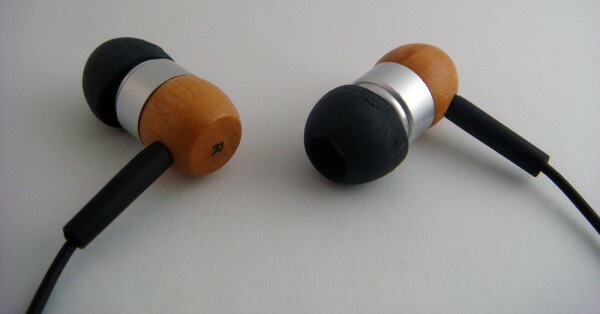 The natural wood-chamber ear-buds look unique and offer an eco-friendly tone. With this said, it really annoyed me that they stuck a black “L” and “R” on the left and right ear-buds. I understand that this makes it clear which bud is which, but did they really have to put it on the best looking part? Seriously? They could have placed it in a more inconspicuous location, making it more subtle. Overall, it is a very simple design and the wood-chamber buds offer a natural and unique look, which is still aesthetically nice despite the minor obstruction. The term “timbre” defines sound quality and sound tone. The question is, can these earphones define the same? Honestly, although it could be better, they get it done. The Timbre doesn’t have the best sound quality, but at $30 it’s a decent pair of earphones. iFrogz advertises Timbre as having “sharp tones and rich bass.” I was kind of worried reading this, since companies like Skullcandy have turned up the bass and volume under the assumption “louder is better.” This is not the case for people who appreciate true audio quality. So, using a cheaper set, it was comforting to discover a warmer overall tone with the Timbre. There was a good amount of treble to compliment the deep bass and therefore sound quality was not bad, considering the $30 price tag. Audio did seem a bit hollow, but I’m going to guess that has to do with the wooden encasement. There was some doubt in tone clarity with a few genres like heavier metal, rock, and rap. Songs with heavy bass overall didn’t sound great but weren’t horrible. I’d place the Timbre’s audio quality about a notch below the famous Apple iPod earbuds. With regards to using the microphone, it works. I tested it with Skype on the computer and with the iPhone for phone calls. The Timbre doesn’t necessarily improve or worsen audio quality for phone calls. The microphone sounded at about on par with an average cell phone’s microphone. There’s no fancy sound cancellation technologies. There isn’t a button for answering and ending calls either. Many new earphones such as the V-moda Vibe and Shure SE115m+ offer that feature. It’s a single 3.5mm headphone jack, so you’ll need a fairly new phone that supports these to utilize both the microphone at headphones at once. This won’t be compatible with most laptops on the market today, however should work with some of the recently released Apple Macbook laptops. The Timbre is quite different from what we’ve seen with the rest of the EarPollution series. It is a nice change of pace for the company with a minimalistic approach that many may actually appreciate. Plus with it a built in microphone, it adds extra functionality for smartphones that will come in handy. Although I believe the $50 iFrogz is asking for the product is a bit ridiculous, the $26 price on Amazon is much more reasonable. The sound quality is more or less what you would expect from a company making their way into the headphone industry. For those of you who take value in audio quality, I would definitely invest in another product. However if you like the wooden-styled Timbre and want a built-in microphone, these will do.